- We design and create experiential zones. It enables consumers who are confused, or want to test the product / service quality, to sit back and experience the product, and allows businesses to interact more closely with the consumers. We are proficient to provide In Store Designing Services to our consumers. Our services are accomplished by industry certified expert’s team who has prosperous acquaintance and expertise. In these services, we provide best store design service to the clients. We offer this service at low prices to our consumers. The audio visual team includes the lighting, audio, projection, staging, video production and sets and theming departments. The unit employs full time, part time and casual staff and offers different entry levels commensurate with experience. 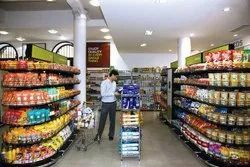 As the supermarket operations play a wide role, this is to give much flexibility to provide customers over multiple stores. It also facilitates the management also not to wait for hours to get the operations to be done, so the main purpose of this new system is to provide convenience to everyone. Software development of super market involves the job of on-line sales of multi account counters and on-line inventory status at each counter. Over and above of normal Financial accounts, Inventory, sales and Purchase accounts. Company Work Profile: Dossier deals in complete store designing accordingly customer requirements.like fall celling,Electrical work,flooring,painting,furniture of garment etc. Assisted by rich industrial experience and modern technical knowledge, we are able to offer Departmental Store Design. These services are widely used for their reliability, flexibility & client-centric approach. Our professionals work hard and provide all facility according to the demanded specifications from our clients.